Data is all around us tracking everything that we do, where we are, how we behave by quantitative measures. As we continue forward into this future, what happens to our emotions? Can a city's infrastructure support how we feel? As we enter into the age of smart cities, how might we expand our use of data in a way that supports our well being? Like we developed necessary infrastructure for a city's growth such as roads, phone lines, and waste management, And You explores the potential of a city to support how we feel. With a group of non-technologists working on a high-tech scenario project, we were naturally fascinated by the human lens of data. 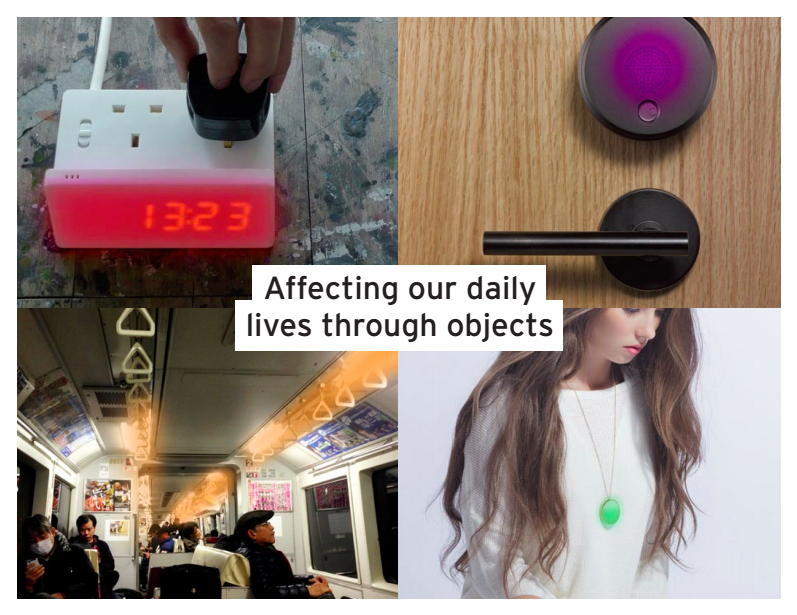 What does it mean to use the internet of things for people rather than objects? Can we use artificial intelligence to help us be more aware of ourselves, and how can that learning shape AI's understanding of us? Because of our partnership with Toshiba and Chiba University, we grounded this project in the context of Japan. This provided an interesting space for this concept with Japan's fascination with technology and their behaviors towards emotional privacy. This project was driven heavily by a rapid prototyping process. We began with a wide project space of "emotional city" and began exploring a series of concepts that could live within this frame. 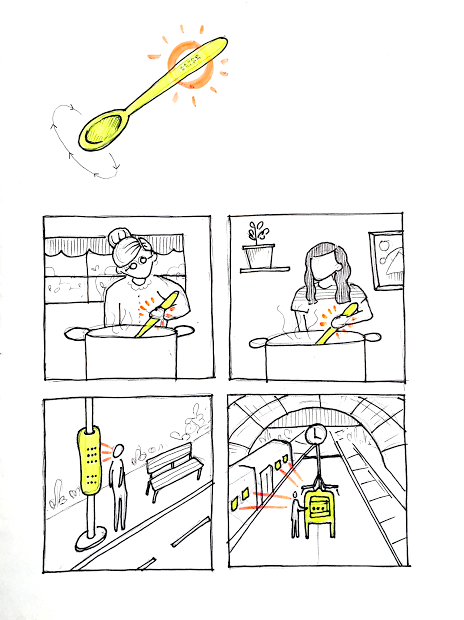 Our past prototypes include a haptic spoon that connects generations over distance, messages in train stations, pairs of tamagotchi-like plants, and memory posts that record a city over time. We also conducted a series of workshops with students from Chiba University and designers from Toshiba in Tokyo in order to gain a better understanding of our context and potential users. When you activate the post through touch, it tells you a message from a random past user. Then it asks, "and you? ", prompting you to share any message about how you are feeling. The post analyzes your emotions (through body temperature, pulse, tone, word choice) and represents it through a glowing color. 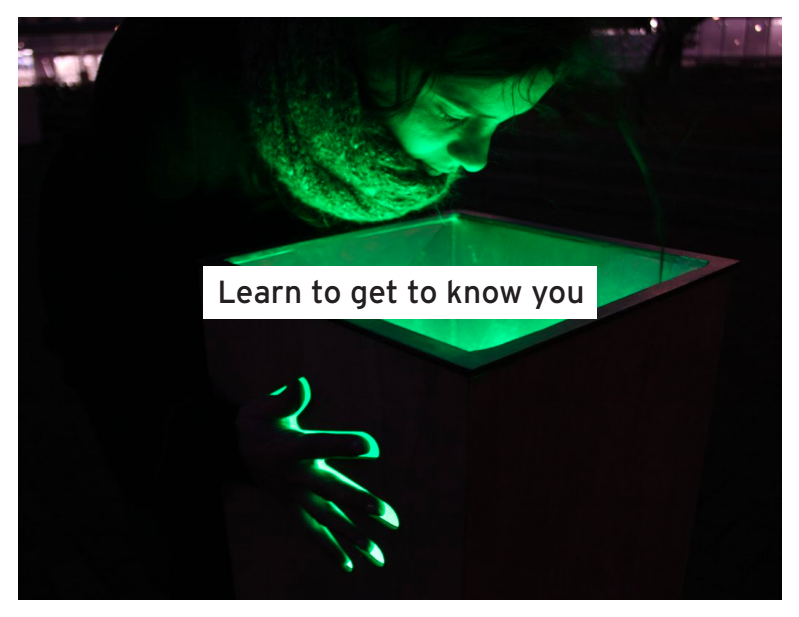 It then shows you the average color of the city that day, letting you know how you feel as an individual and a collective. 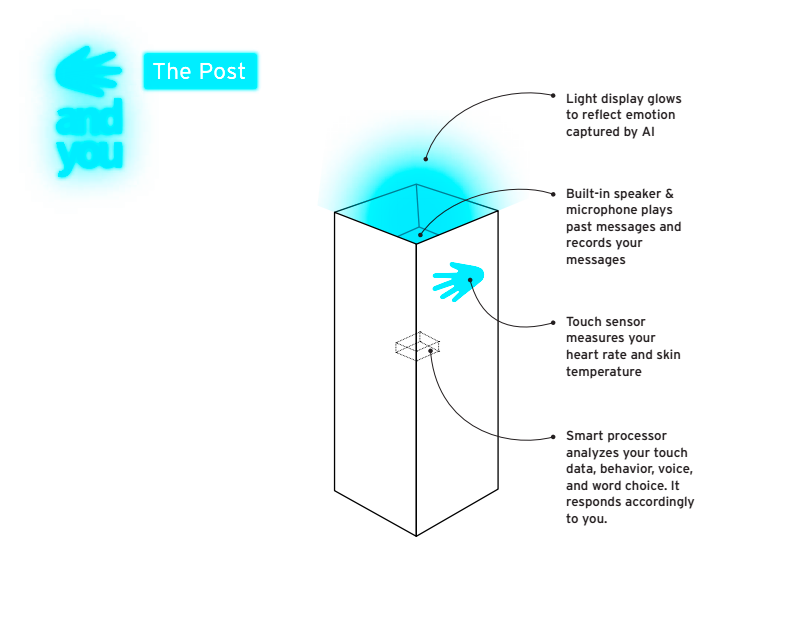 The post also connects to a database, storing anonymous emotional data in a city over time. This becomes part of a public record, archiving how a city feels as a collective, always represented in public space through color. What does this open up? It was fascinating for us to imagine an "emotional city" and the service that would be necessary to realize that. However, the deeper we dove into this concept the more we were able to imagine a possible role for technology in supporting our emotional needs. 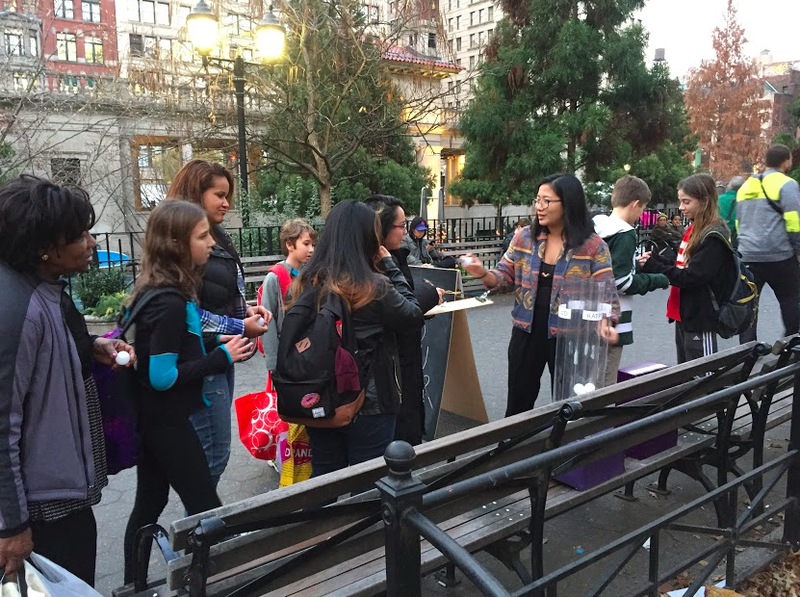 At first we asked the question, "How might we collect emotional data? 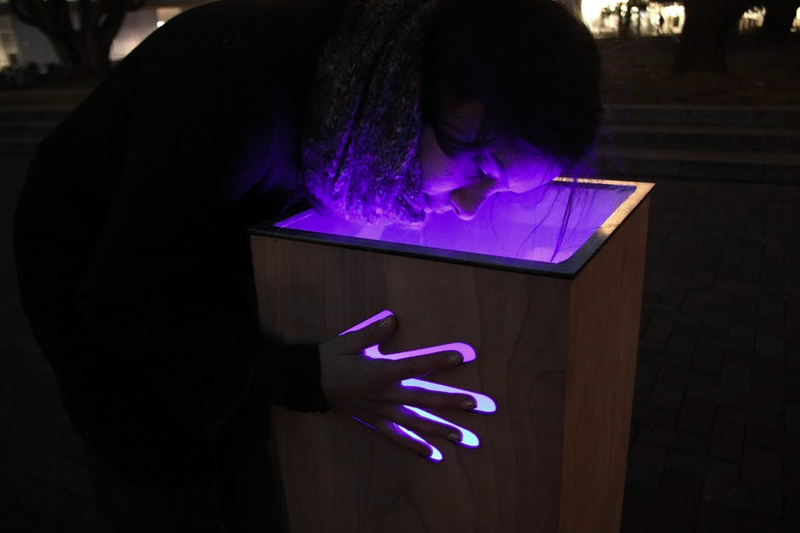 ", but soon the question evolved to, "What if we can use that emotional data to affect the collective mood of the city?". The post evolved to become a mediator, using the internet of things and artificial intelligence to help navigate our complex emotions. And by slowly learning our emotional data, AI too, can become more human.